There is always a need for speed in this fast paced motion design world. It’s definitely something we can all agree on. You can always get more money, but you can’t get more time. That’s the truth. Every day I look for ways to speed up my workflow, and there are so many ways to save time. I highly recommend checking out my tips and tricks tutorials at ukramedia.com or by clicking on this link. Also, be sure to join our Facebook Mentoring Group. In this tutorial, I want to shine the light on Expressions. It’s amazing how far a simple line of text can take you. Unfortunately, many of us still fear expressions. 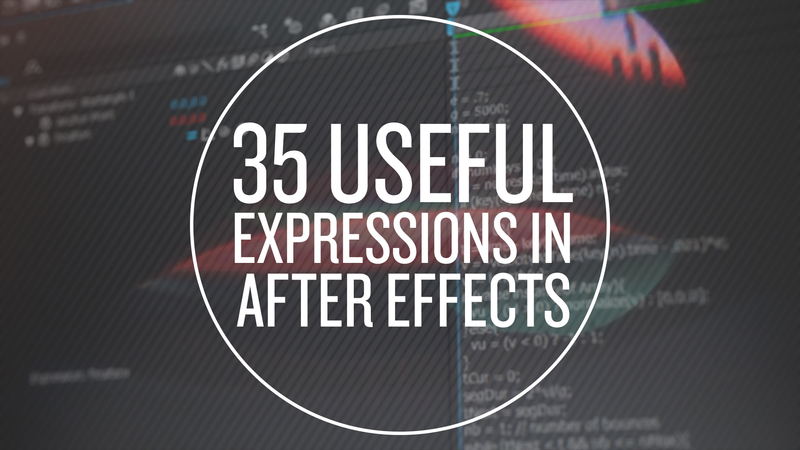 I want to change that by showing you simple expressions you can use daily. They are easy to remember and quick to execute. Give this tutorial a try and you’ll be amazed by the simplicity of these expressions. I hope you enjoy it!